It's been hiding in the permafrost in Siberia ... and scientists are about to awaken it from its deep slumber. A mysterious giant virus hiding in the permafrost in remote Siberia has attracted the attention of scientists, who are hoping to resurrect it. The virus, called Mollivirus sibericum, or soft virus from Siberia, is a newly discovered virus that was discovered in permafrost dating back 30,000 years, according to the Arctic Newswire. It was found in Russia’s Chukotka region, and was detailed in a study published in the journal Proceedings of the National Academy of Sciences. It’s the fourth time since 2003 that researchers have found a giant virus from ancient times, and these same researchers found one of the previous viruses in this same permafrost. Why is this a big deal? The simple answer, beyond scientific discovery, is climate change. As global warming intensifies, prehistoric permafrost will begin to melt, and unleash this virus onto the world. 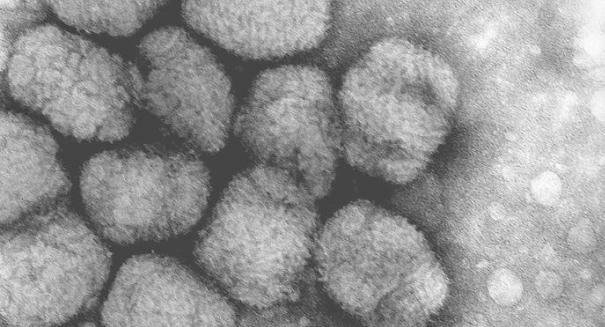 Mollivirus sibericum is a spherical organism that is huge compared to other viruses, but is still just 0.6 microns in diameters — giant viruses are viruses that are over 0.5 microns. A micron is just a thousandth of a millimeter, for perspective. These giant viruses can be seen with normal microscopes. French and Russian scientists were behind the discovery. And that giant virus doesn’t compare to an even bigger virus, measured at a whopping 1.5 micron: the Pithovirus sibericum. The research team that found it was able to activate it, and detailed their findings in a study published in the Proceedings of the National Academy of Sciences. It’s the largest virus scientists have ever found, and it can even infect amoebas. Humans have nothing to worry from it, however, scientists say. This new species of virus that was recently discovered is pretty diverse when it comes to genetics, having more than 500 genes compared to eight genes in the Influence A virus.